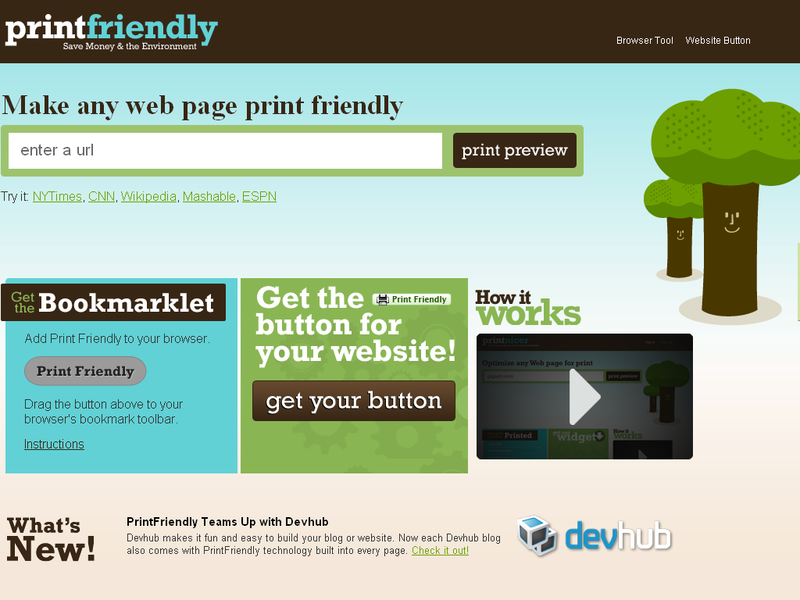 "PrintFriendly makes printing on the web better. You'll save paper and int, plus get great looking documents". Their algorithm prints clean by removing navigation, ads and all the junk. They use best practices in print Typography to format your document for great readibility. Customization is possible where you can remove images, junk paragraphs and get PDf files. It provides exact print preview, greating looking pages without any effort or any techinical experience, cool print tools like remove images or content and get PDF for website or blog. Get Free PrintFriendly button for your website or blog which is better than creating css for print . It will be a great option for you and your readers. It is a web application which makes website or blog print friendly and provides great features without costing single penny.